The Russian occupation authorities are destroying the Khan Palace in Bakhchysarai under the guise of restoration, in order to rewrite the history of the indigenous people of the Crimean peninsula - the Crimean Tatars and distort historical reality, former director of the Khan's Palace Elmira Ablyalimova said at the international conference "De-occupation of Crimea: When and How" held in Lisbon. According to her, the crime of destruction of cultural heritage consists in neglecting the principle of scientific character and the application of common building norms to an object of historical significance. 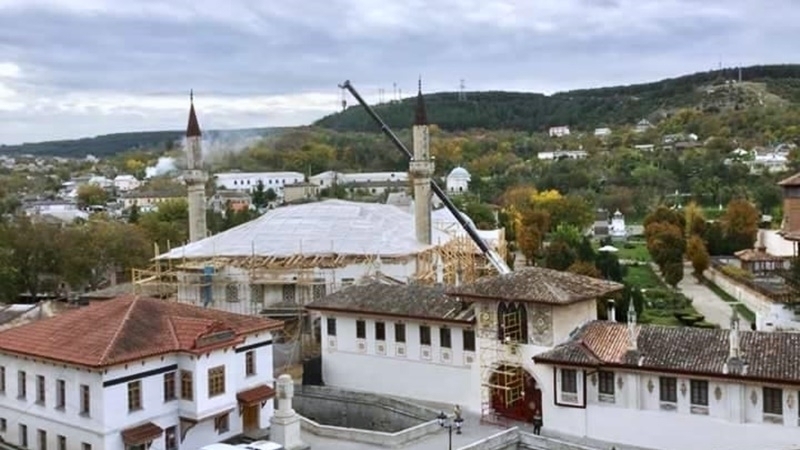 “Under the guise of restoration, Russia actually destroys the world's only monument of the Crimean Tatar palace architecture. Moreover, the principle of restitution has been violated - it is already impossible to recognize the Khan mosque, which is part of the complex. This all is an attempt to rewrite the history of the Crimean Tatars as an indigenous people and distort the historical reality," she said. Reportedly, the main topics of the conference "De-occupation of Crimea: When and how" were the situation in the field of human rights in the occupied Crimea, counteraction to the destruction of the Crimean Tatar heritage - the Bakhchysarai Palace and international support for Ukraine in the struggle to restore territorial integrity. Earlier, in March 2018, the United Nations Educational, Scientific and Cultural Organization (UNESCO) issued a report on the deterioration of the situation with the protection of cultural heritage in the Crimea occupied by Russia. In the document, UNESCO indicated facts of violations by the occupation authorities in the protection of cultural heritage.